Time to Start Thinking About Mother’s Day? 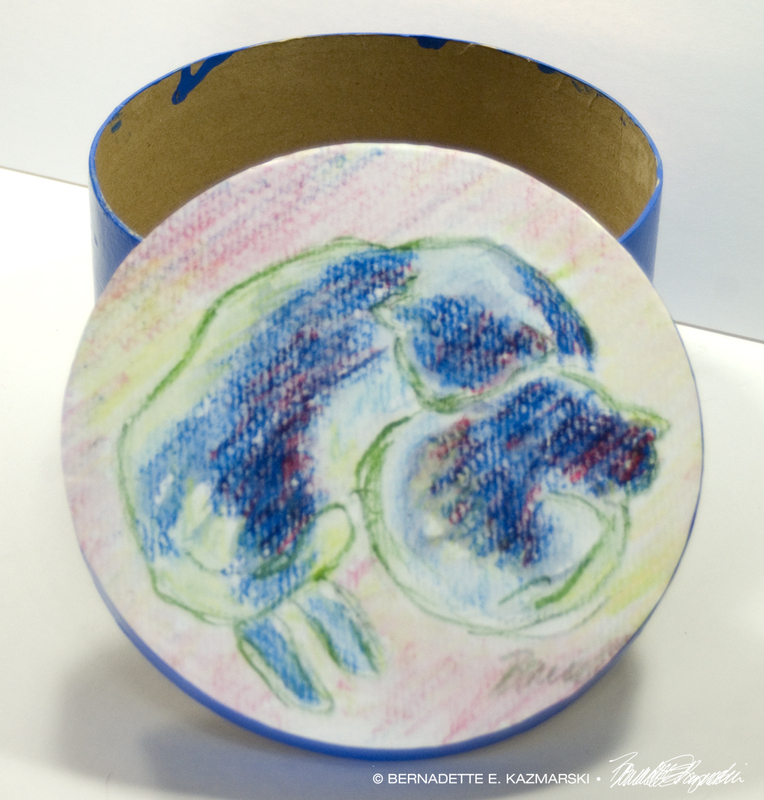 The design on this box features one of my daily sketches of Mewsette curled with her tiny mama Mimi in a spot of sun at the top of the stairs. It’s large enough to be either a gift or a gift box for a special Mother’s Day gift. 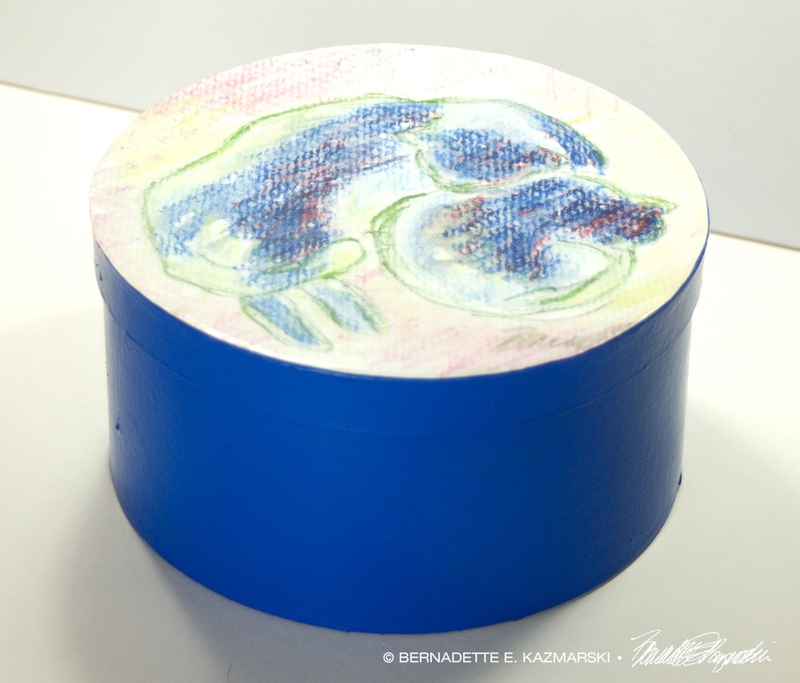 This box is hand-painted in Caribbean blue and the print decoupaged to the lid. Lid and bottom are finished with matte-finish Modge Podge. Box measures 8″ diameter x 4″ high. Price includes shipping. These two were curled up together on the rug on the landing, in very diffuse sunlight, not the bright morning light we often have, but it reflected off the white walls and created some interesting color combinations in there fur as well as reflected areas. Nice composition they made, and I wasn’t quite sure what I wanted to do with it at first, but I’m glad I chose watercolor for its opacity. I use soy-based acrylic paints and print my artwork on acid-free matte-finish paper with archival waterproof inks and adhere the print to the box, then finish the bottom and lid of the box with water-based polyurethane. Box insides are unfinished. Read more about “Mother and Daughter, Sun and Shadow” on The Creative Cat (http://thecreativecat.net/daily-sketch-mother-and-daughter-sun-and-shadow/#.UPzr1_IZFCg). In creating my Daily Sketches of my cats I experiment and work in a different style and medium each day. You can read more about these three sketches and other on The Creative Cat (www.thecreativecat.net). 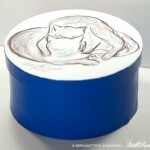 “Love Cats” was in the same color scheme so I made a box in the identical size and color. Pair them up, and ask about a discount when purchasing two. 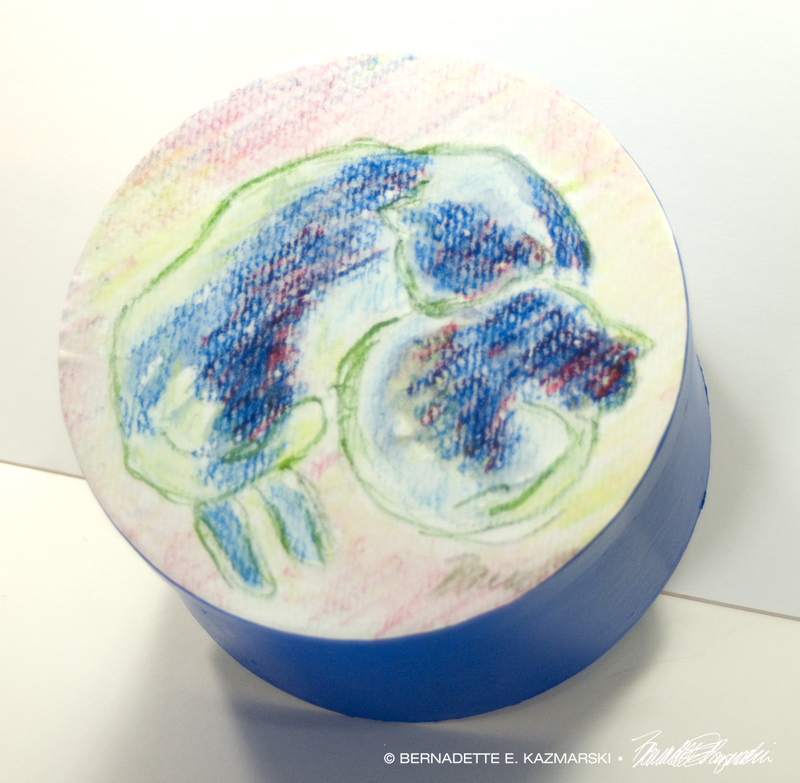 This entry was posted in animal-inspired merchandise, cat merchandise, cat photos, keepsake boxes and tagged animal artwork, cat art, cat artwork, cat gift items, cat keepsake box, cat merchandise, cats, two cats on March 28, 2016 by Bernadette.